It’s a heartbreak yet again for Mexico at Miss World. This time it’s like a double whammy heartbreak. Try to imagine Miss World Mexico Ana Girault as Andrea Sachs (played by Anne Hathaway) in the movie The Devil Wear Prada. Let’s allow our mind to explore the possibilities on what might have transpired if Ana is Andrea being interviewed by Miranda Priestly (played by Meryl Streep). “And what are you doing here?” volleyed the retort. “So you are not really into charity work?” asked the interviewer without even looking into her. “And before today, there isn’t much beauty with a purpose work that you got involved in? Ana’s head could have been spinning at that time. 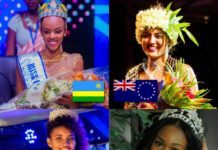 After all, most of the Miss World candidates only did charity work when they won their national titles. Meanwhile, she had been associated with a charity organization helping children with cancer for almost seven years. “You are not a quiet type gal or even aloof.” continued the interviewer which at that point Ana would probably have no option but to defend herself. “I was involved in a charity project involving women from the indigenous community,” fought back Ana trying to sweep the insult under the rug. “I was able to bring into the national level the plight and suffering of the indigenous people in the State of Chiapas”. The interviewer was taken aback. In her mind a gamut of conflicting information clash with each other. A million images flashed in an instant. If Ana is to become Miss World, the whole pageantry world would be surprised. She is not the beauty that the pageant really wants but her résumé is impressive indeed. She’s glamorous, stylish, hardworking, dedicated and above all, passionate. She is not afraid to be labelled loud all for the sake of advocacy that she is bound to promote. If only she were there at the semis, she could put up a good fight and as this imaginary interview goes, it seems she will indeed be in the semis. But then, before everything in that make believe office concluded, an aide came inside and rudely interrupted the proceedings. He whispered something at the interviewer’s ear and delivered a shocking revelation. The interviewer was aghast, wide-eyed but did not utter any word for like ten minutes. “That’s all”, said the interviewer while waving her away. Ana could sense something is terribly wrong. 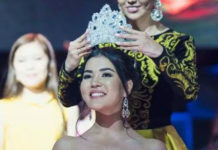 In this fairy tale story, Ana’s campaign for the Miss World crown ended even before the finals night started. Meanwhile, in the real world, the same thing happened.